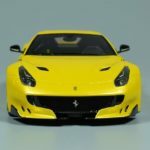 It’s not too often we review 1:43 scale models here at DiecastSociety.com. 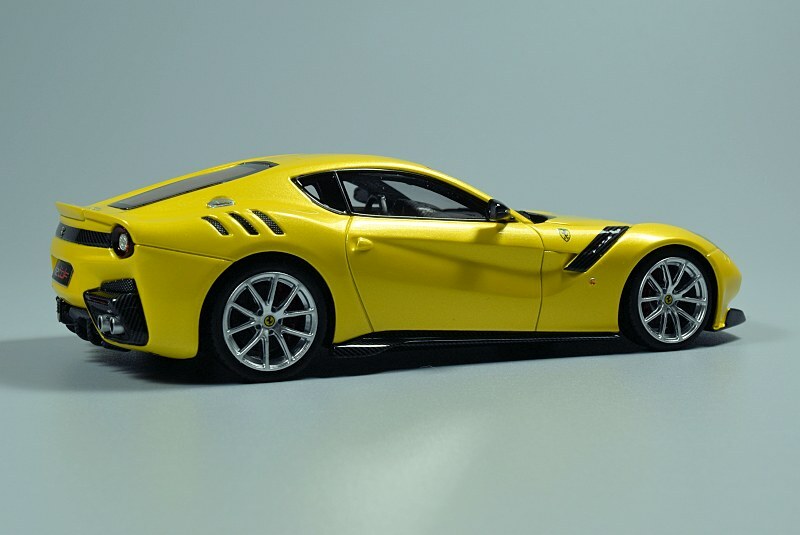 When Looksmart offered up one of their latest efforts, the Ferrari F12tdf, we immediately said yes! 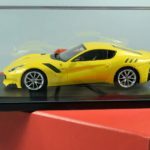 A few things I learned about Looksmart over the last little bit… They are the only official supplier of Ferrari scale models. 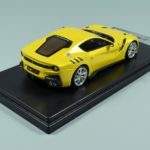 All their products, which include the Looksmart and MR Collection brands, are sold in Ferrari stores. 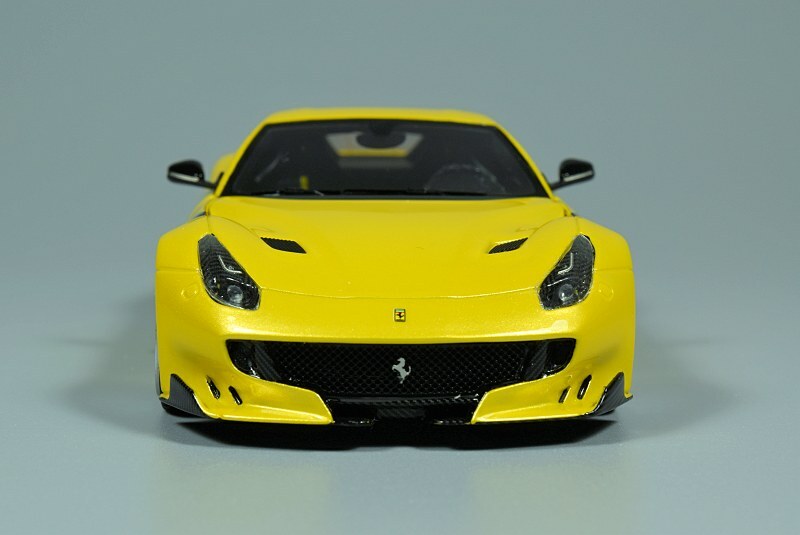 There is a misconception in the market place that BBR is the official supplier, they are not, BBR only yields an official license from Ferrari. 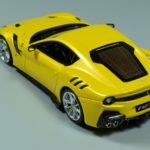 MR Group is also partnering with Ferrari to offer bespoke models. 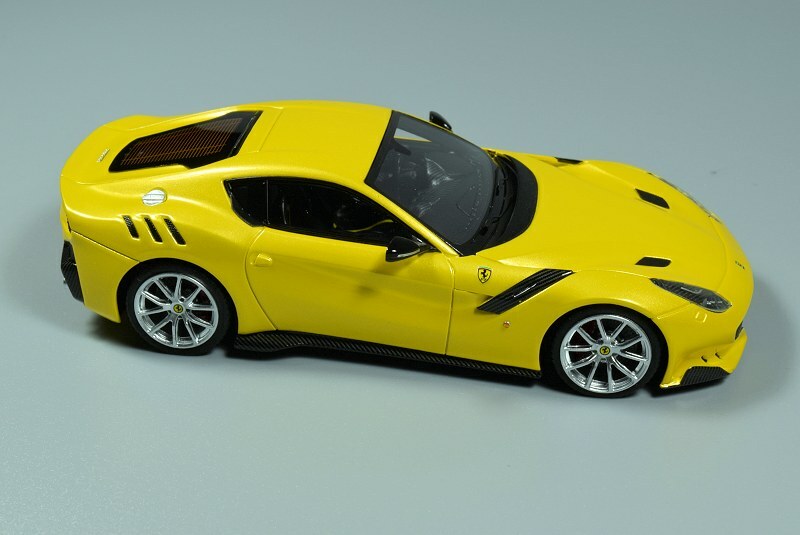 Any customer of a Ferrari car will have the option to have their prized 1:1 possession represented in scale. Very cool! 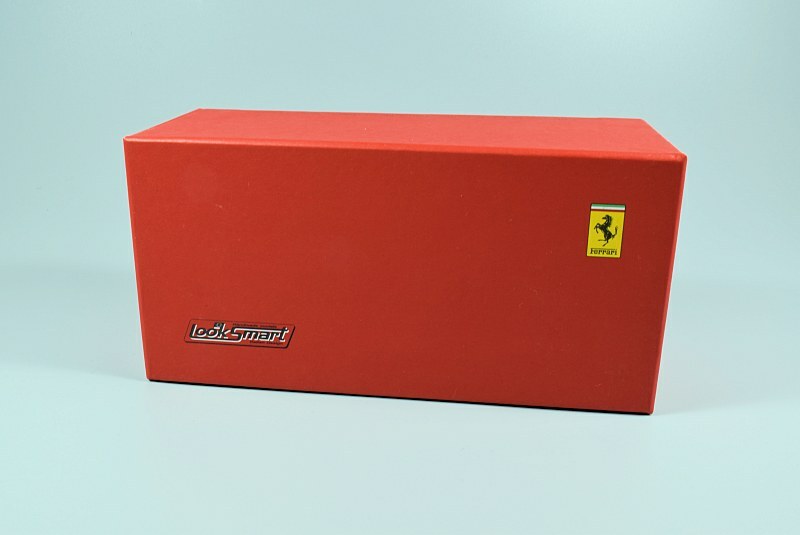 Each model from Looksmart and MR Collection is developed in partnership with Ferrari. 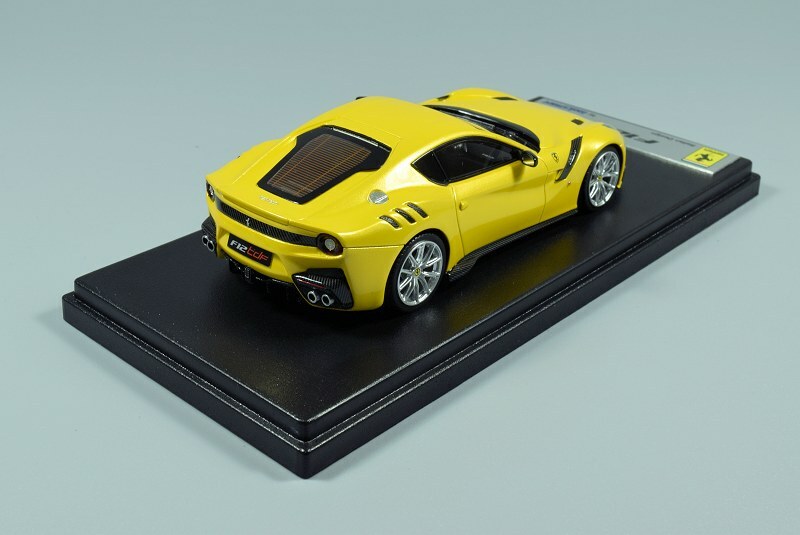 Each piece is crafted via original Ferrari drawing with all dimensional information extended. 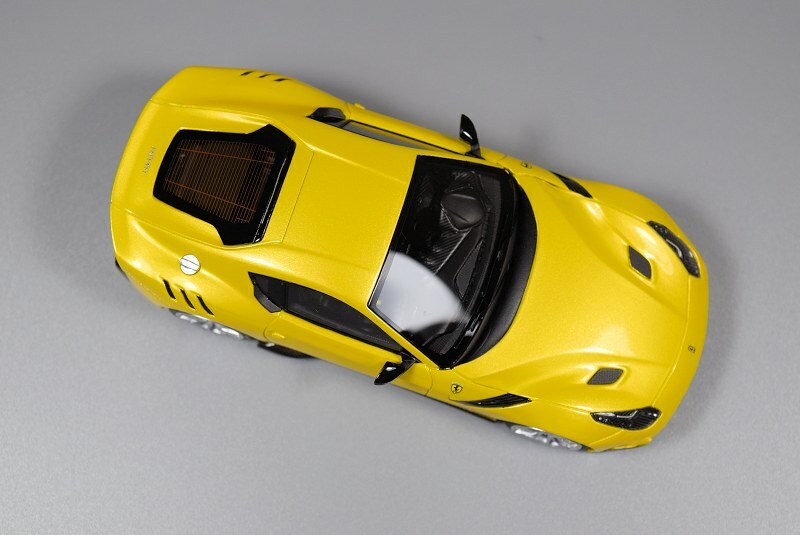 This relationship also extends to the Lamborghini marque too. Since this is our first official Looksmart review, I’ve decided to start with the packaging. The box is completed in a quality rigid cardboard finished in Red. 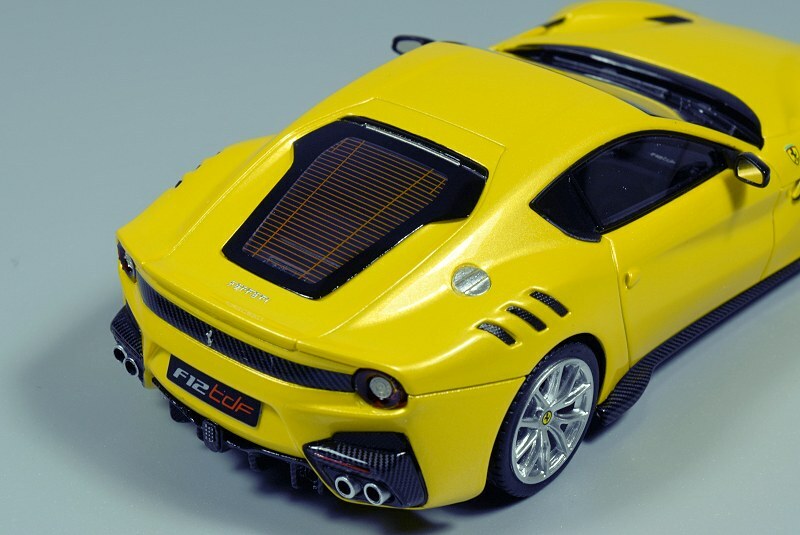 The top features the Looksmart and Ferrari logos. 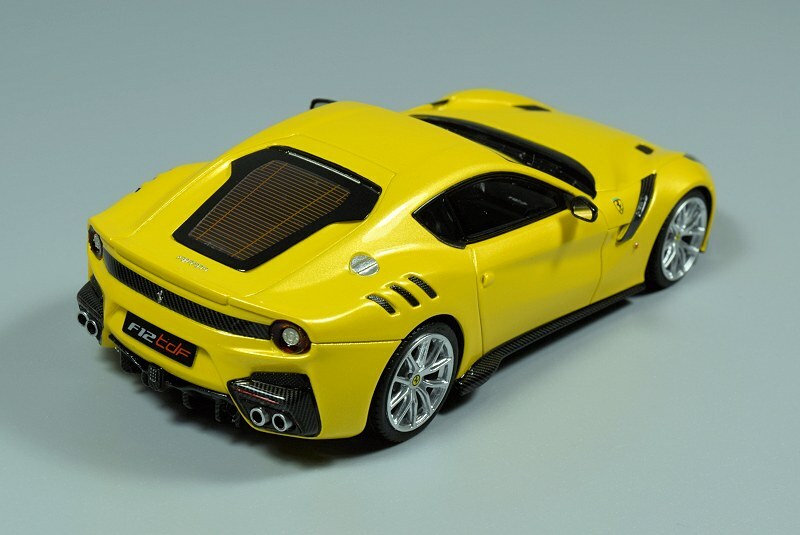 The bottom has the official Ferrari license decal and other Looksmart informational literature. 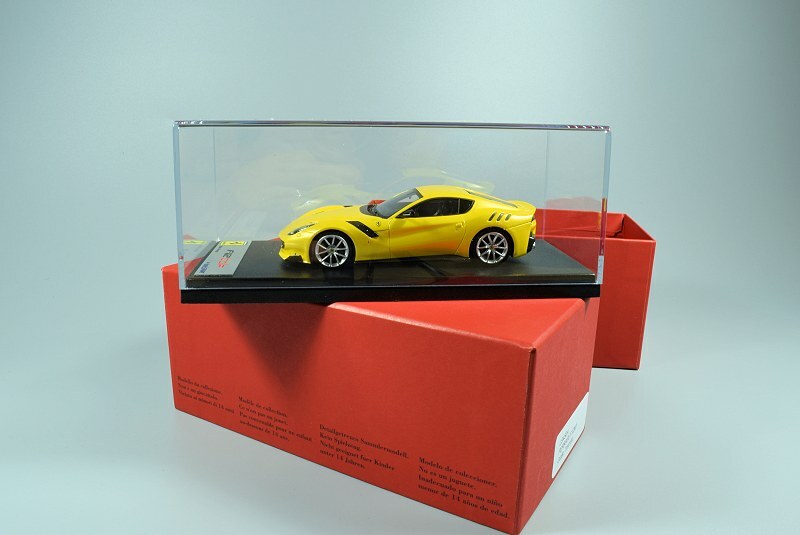 The box is easily opened to reveal the model, which is wrapped in a styrofoam like paper. 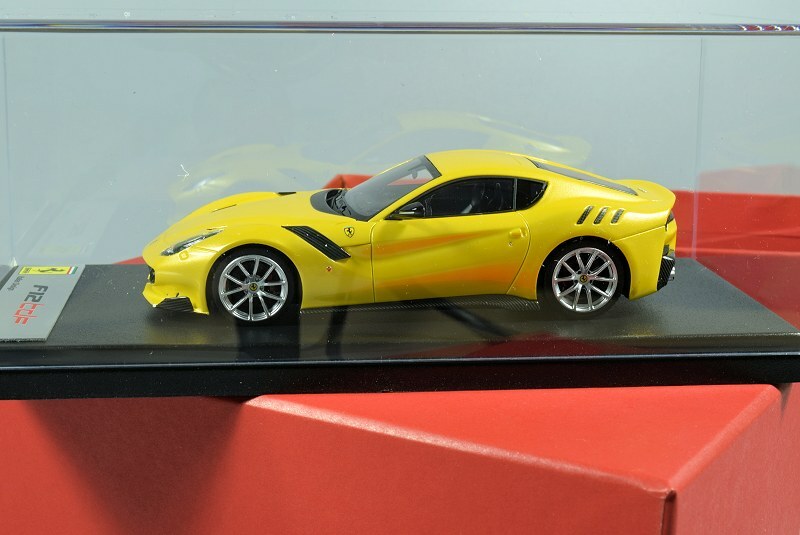 Inside the model is housed on a black base with clear display cover. 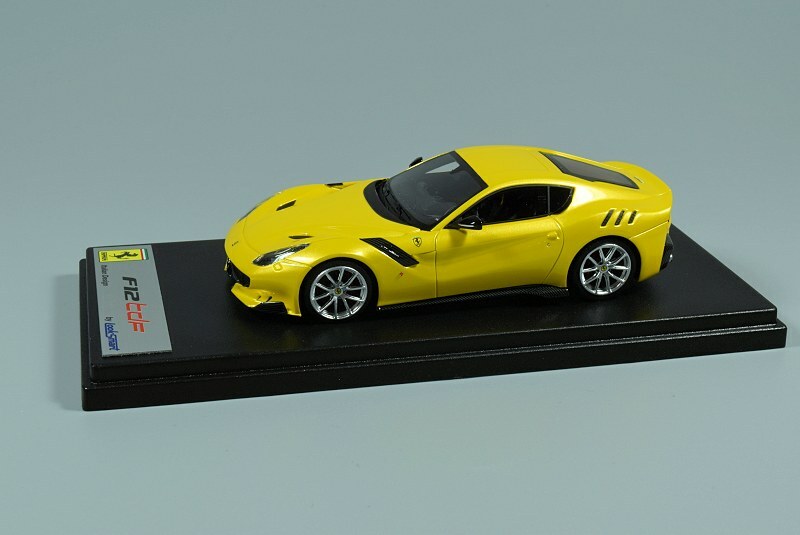 The base features a raised plaque with ‘F12tdf’ and various other information. See image for definition. Removing two small screws on the bottom of the base frees the model. 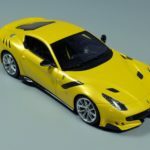 The Looksmart brand offers its specimens in resin and closed-body design, so as always the shuntlines and panel gaps are spot on. 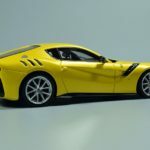 The exterior of the F12tdf is finished in the official launch colour, Giallo Tristrato. For us common folk this is Metallic Yellow LOL. The paint is very nicely executed. It is even throughout; there is zero interruption where the paint meets another element or material. Overall body lines mirror the original well. 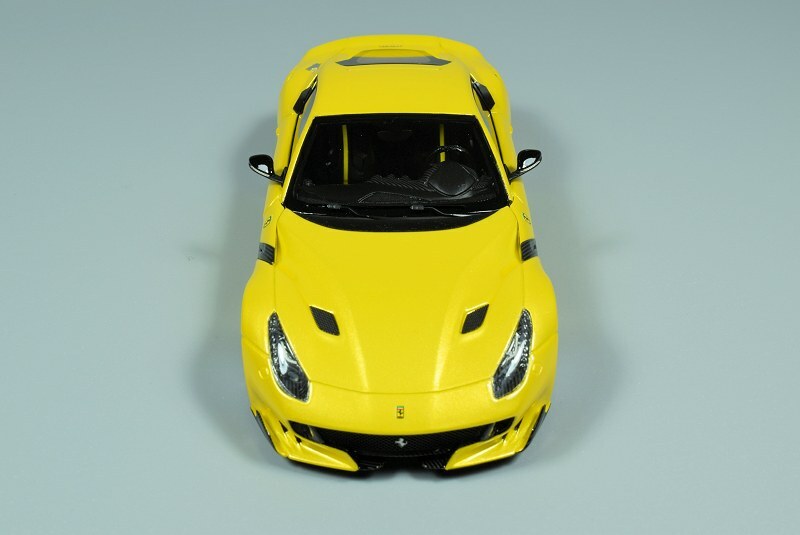 The front of the F12tdf is a work of art. Looksmart was definitely up to the task. 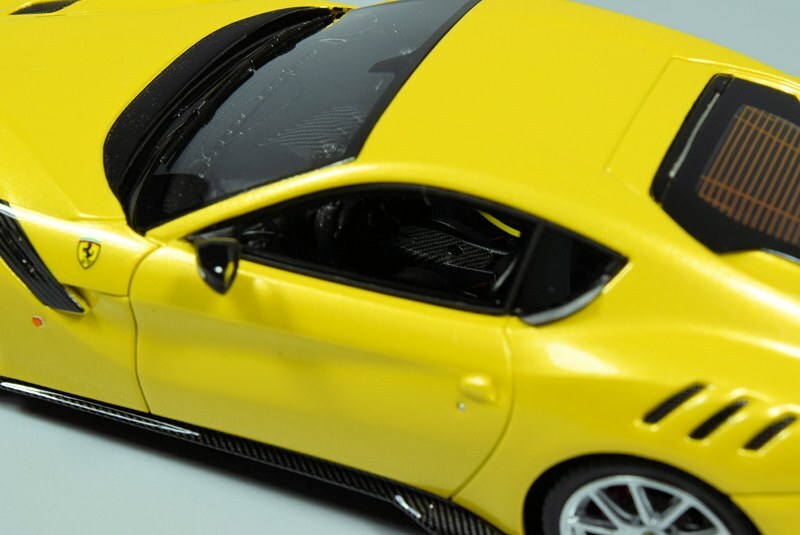 They captured all the intricate lines and nuances on the front bumper. Based on the small scale we’re dealing with, I was quite impressed. 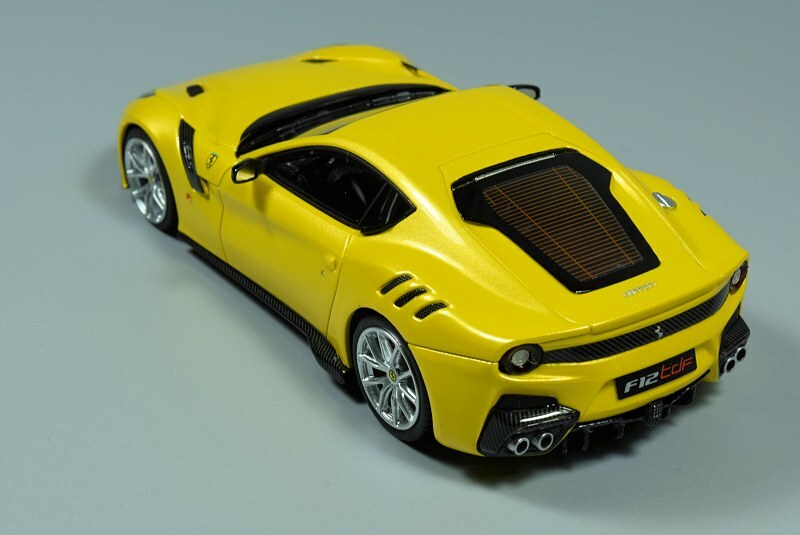 The front intake does feature a perforated grille with miniature metal Ferrari logo centre. 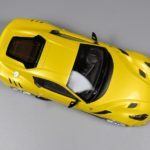 Carbon fibre work is clean and within scale. 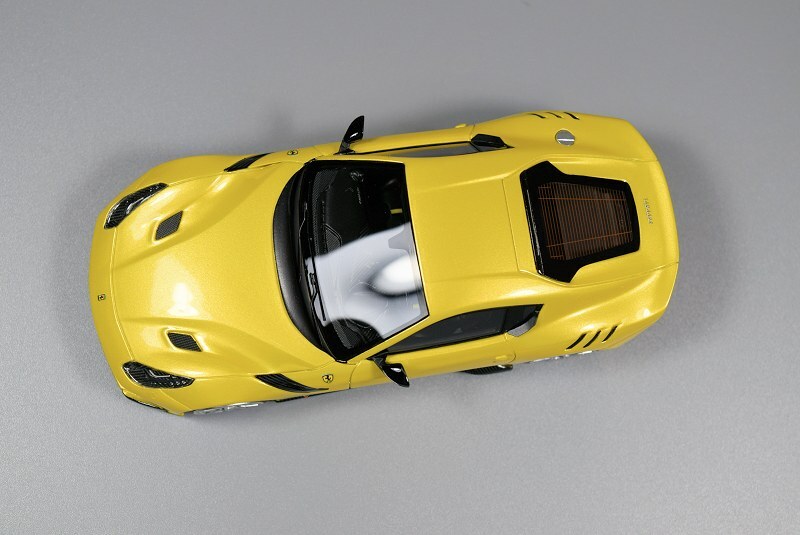 Another impressive detail is the carbon fibre found within the headlight housing, just beautifully executed. 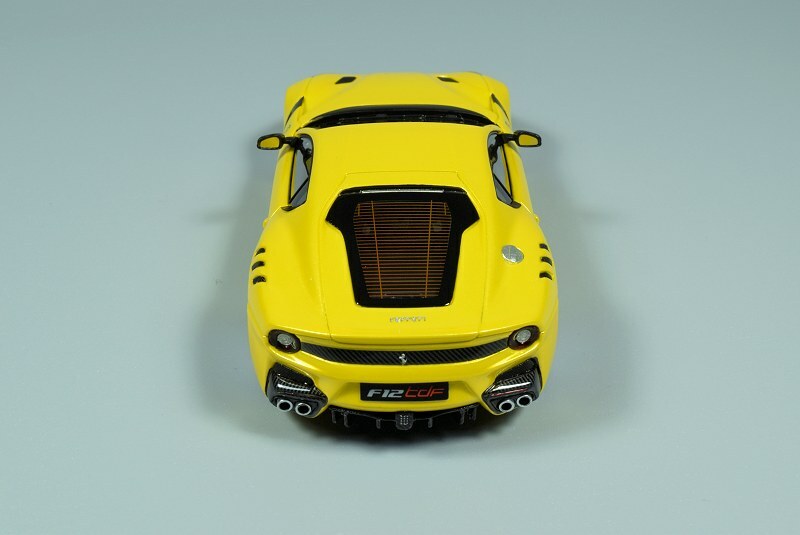 Though on the flip side the upper cooling vents on the hood are solid plastic pieces. 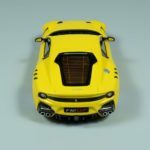 The rear of the F12tdf is heavily laced with carbon fibre, the execution here is very clean. 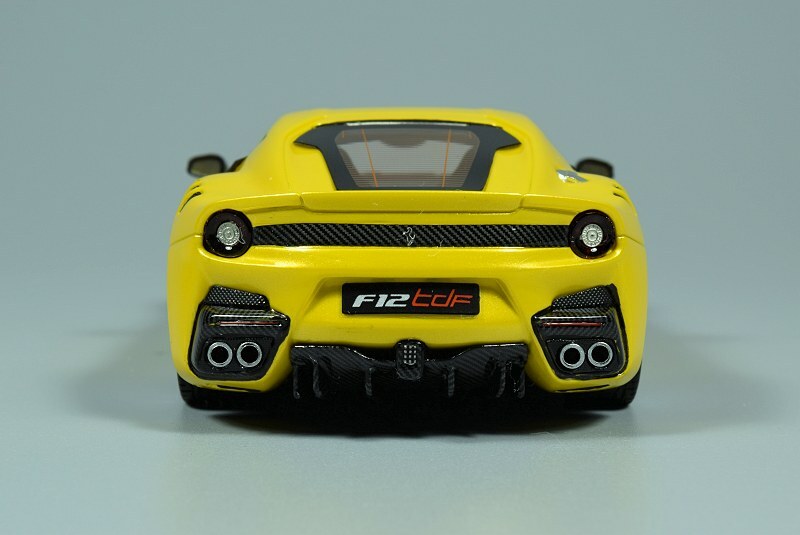 Taillight materials and detail are very good, and if you don’t look twice you may miss the small metal Ferrari logo in the centre. Unfortunately there are no further photo-etched bits for us to enjoy. I suspect the small scale could be a challenge to execute right. 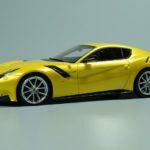 The wheels on the F12tdf are finished in Silver. 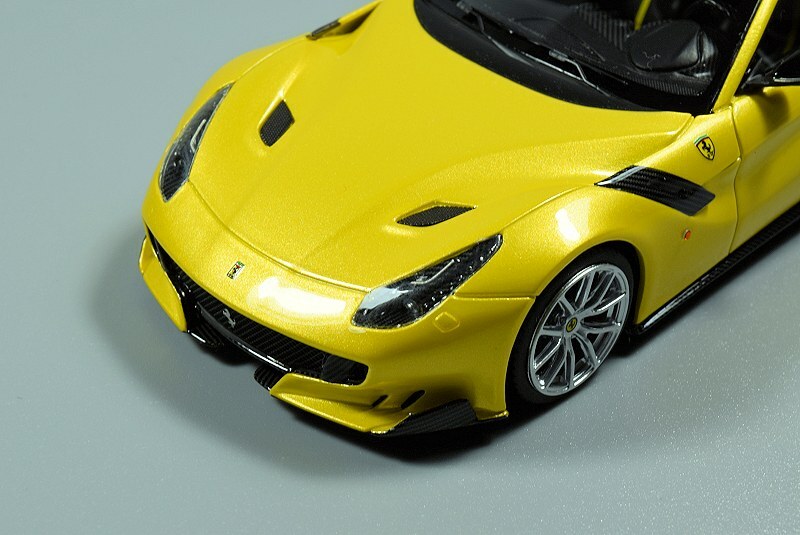 They feature the ceramic rotors with Red calipers front and rear. Ferrari logos are present on all fours rotors too. The entire package works well. If I could change one thing I would have used a dark colour for the wheels. 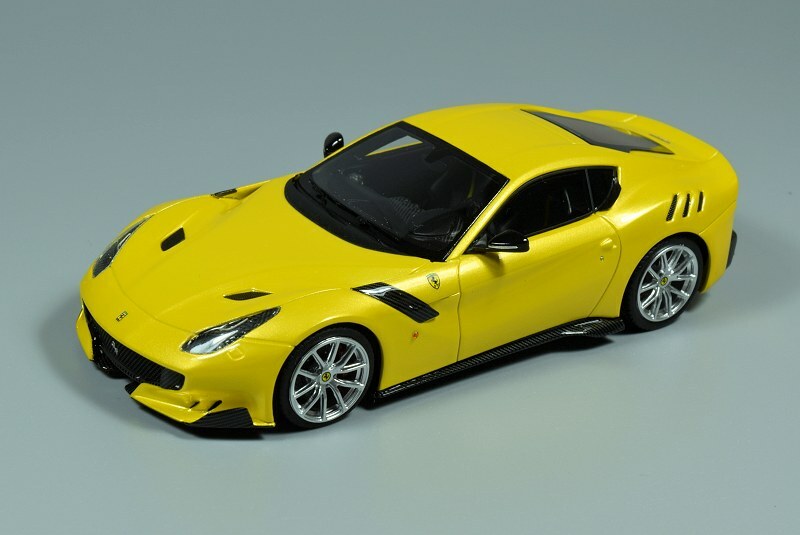 With the Yellow exterior and Black accent bits this would have been the icing on the cake! 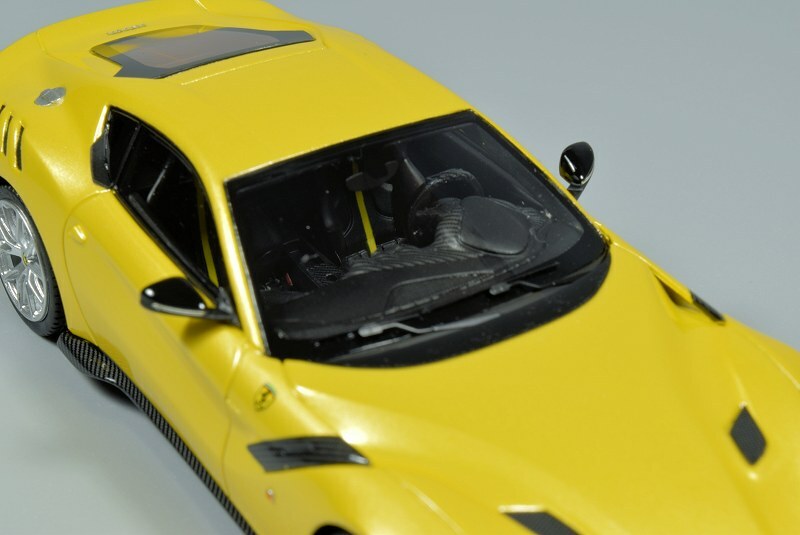 The interior of the F12tdf is completed in all Black. 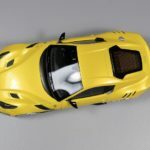 What impressed me was the extensive carbon fibre work done to the various elements of the interior. Looksmart even added the carbon fibre to the steering wheel. 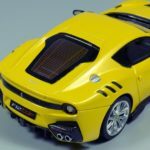 Mated with the Ferrari logo centre and various defined driver instrument buttons, once again, we see the level of detail above and beyond. Finally the interior seats have a Yellow stripe, mating the outside with inside. 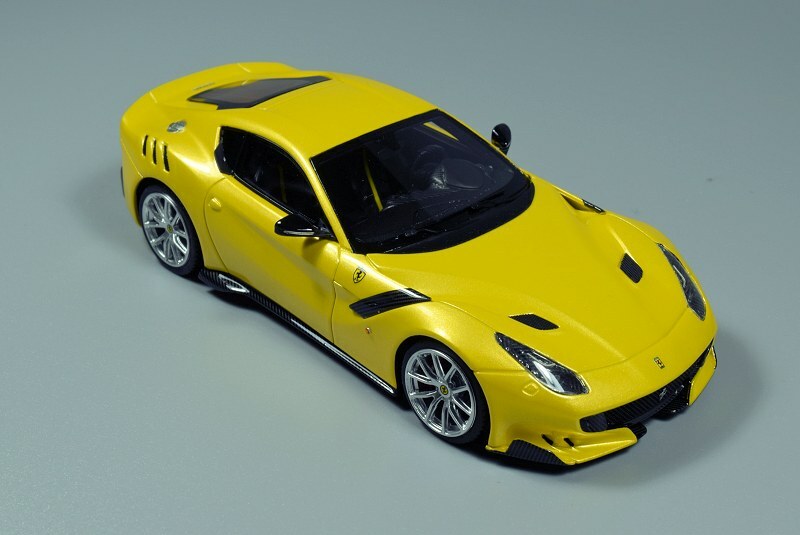 The Looksmart Ferrari F12tdf is a sure bet for you 1:43 collectors. 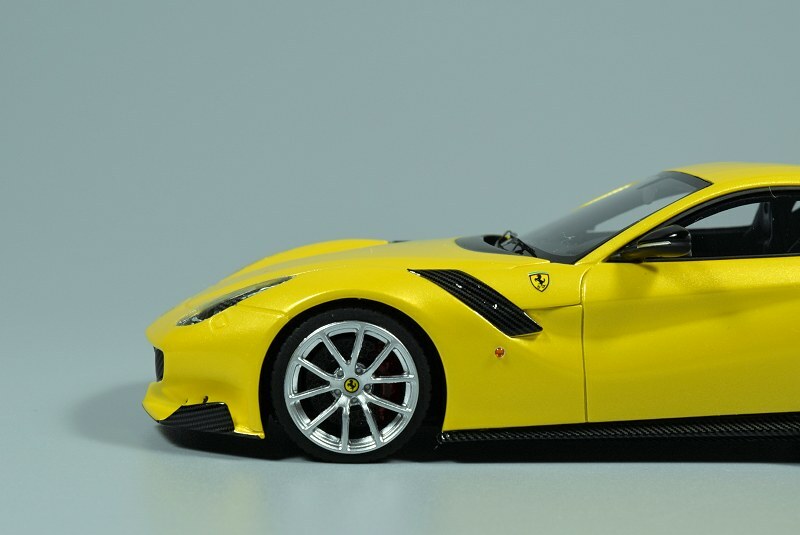 The model excels on every level, even exceeding models in 1:18 scale and rightly so. With an average price tag of around $140CND, that places Looksmart at the upper tier price wise. In return Looksmart does back their product with an excellent level of detail and attractive packaging. 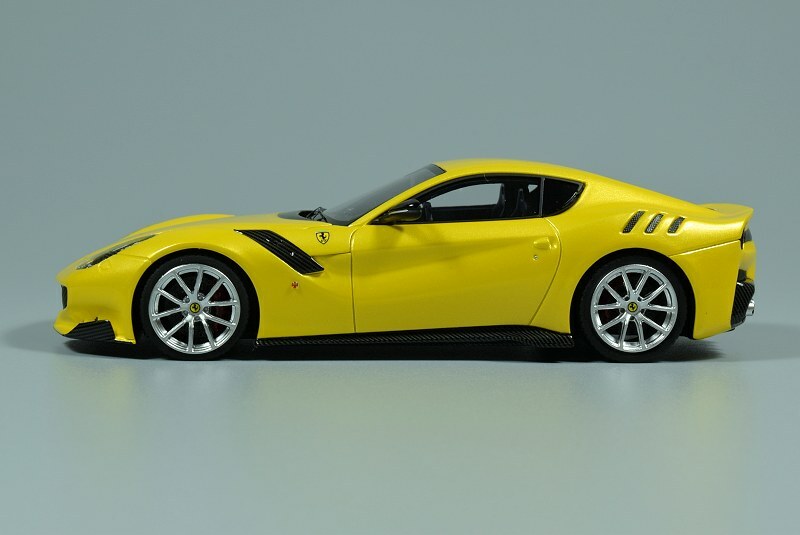 Then you factor in the Ferrari brand, there is definitely a level of exclusivity here. Enjoy the pics! 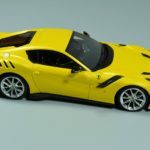 1 Response to "REVIEW: Looksmart Ferrari F12tdf"
in the light of your outline details about this review, would it be possible to clearly show the scale of any model – in the banner – which you are highlighting on your start page please? 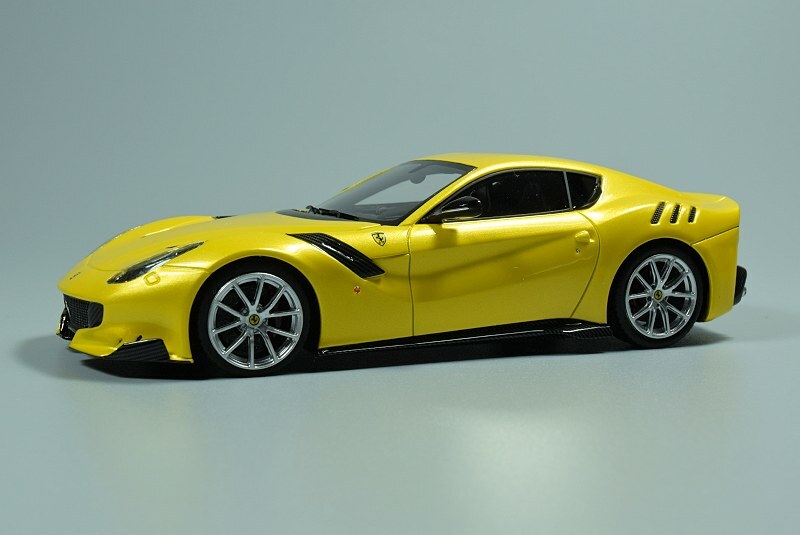 I have enough problems dealing with 1/18th scale subjects without being tempted by 1/43rd stuff…….. :>) I appreciate there are times when news from manufacturers crosses several scales.